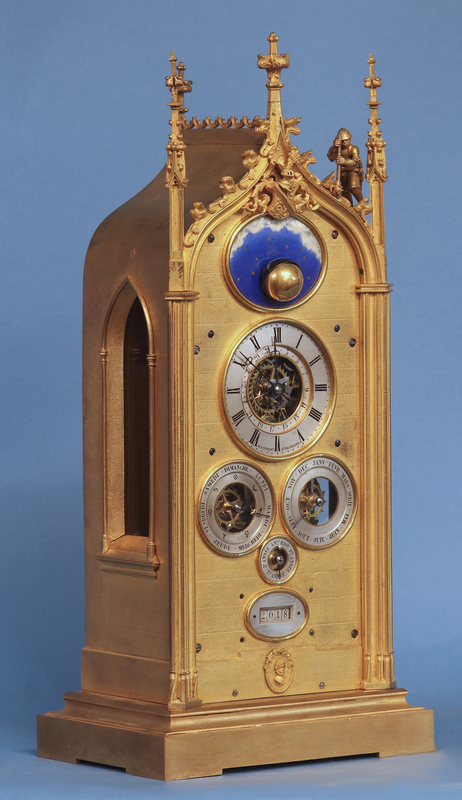 A small rare multi-dial ormolu perpetual mantle clock signed ‘M. 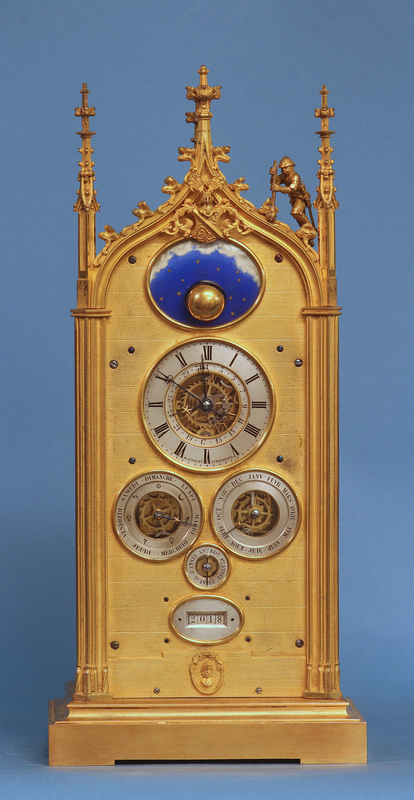 Bornert, Strasbourg’ and inspired by the great astronomical clock in Strasbourg cathedral. 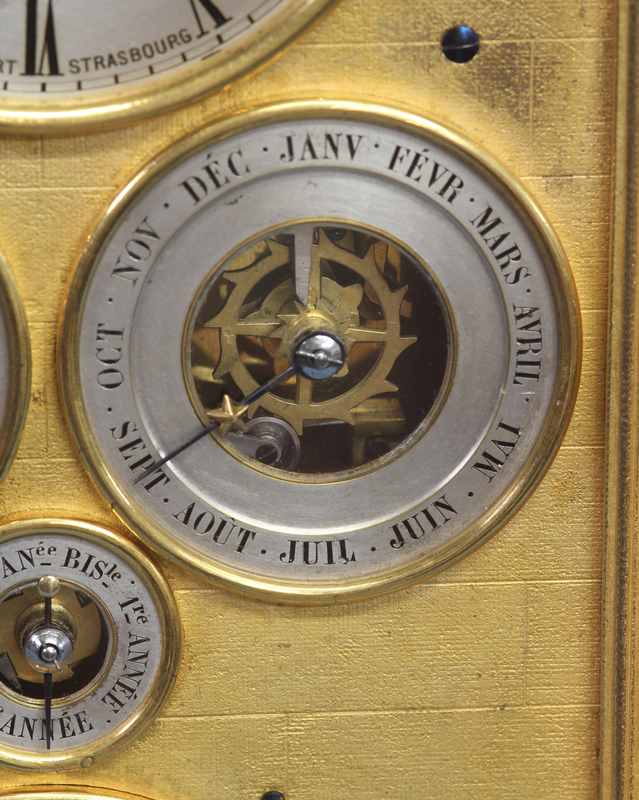 It incorporates multiple chapter-ring sub-dials, a year aperture and a rotating moon on an enamel plaque. 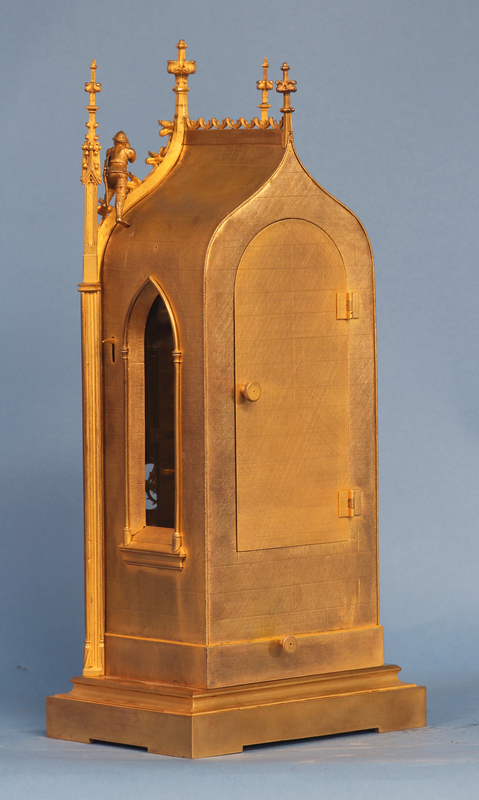 The small ormolu case depicts a Gothic brickwork cathedral with a stepped base, arched windows to the sides and the Strasbourg coat of arms centered above. The columns rise to an arched gable that is surmounted by decorative pinnacles and a climbing knight. 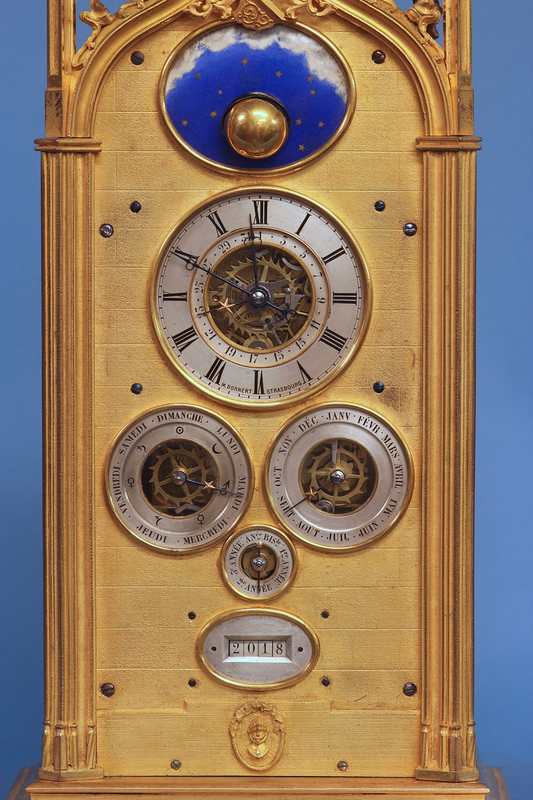 The engraved silvered dials are composed of concentric rings bordered by polished gilt bezels. 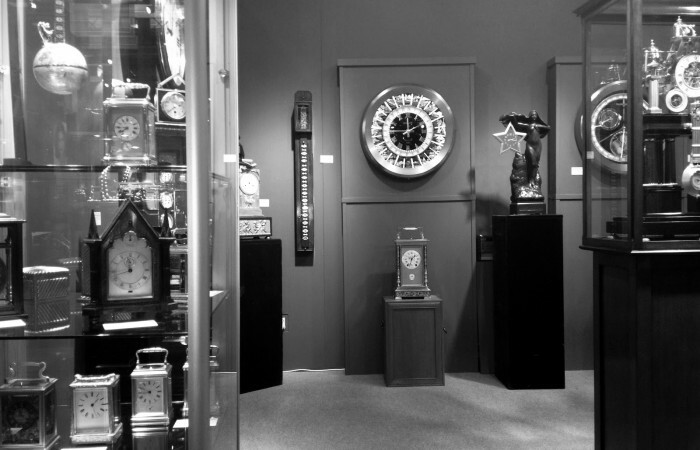 The time dial has Roman numerals for the hours, shaped steel-cut hands and is signed. 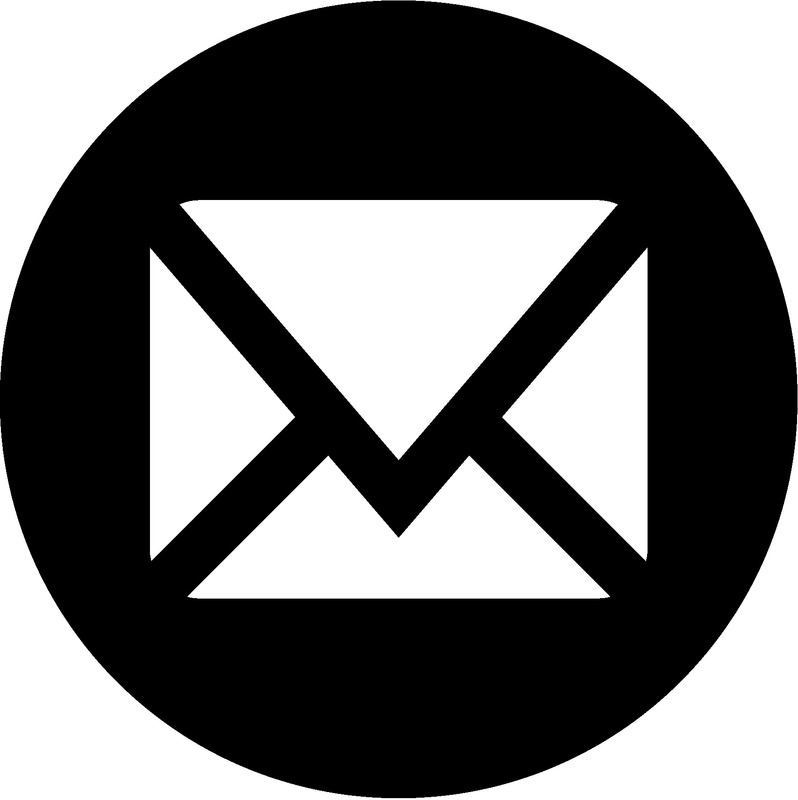 ‘M. Bornert, Strasbourg’. 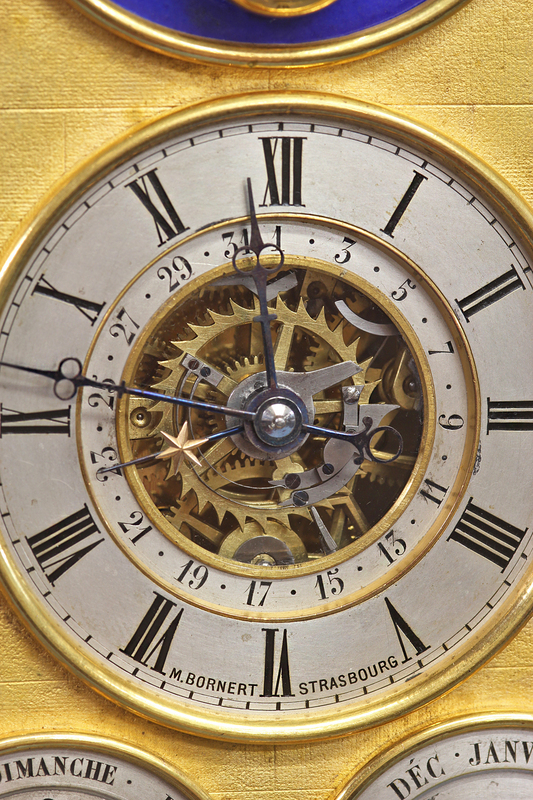 It encircles the date dial that has a steel-cut indicator hand with a gilt star and a glazed center. Below are the day and month sub-dials, both with glazed centers and star studded hands, a leap year indicator dial and a digital year indicator aperture. Above is the shrouded two-tone rotating moon mounted against an enamel plaque that depicts the night sky. 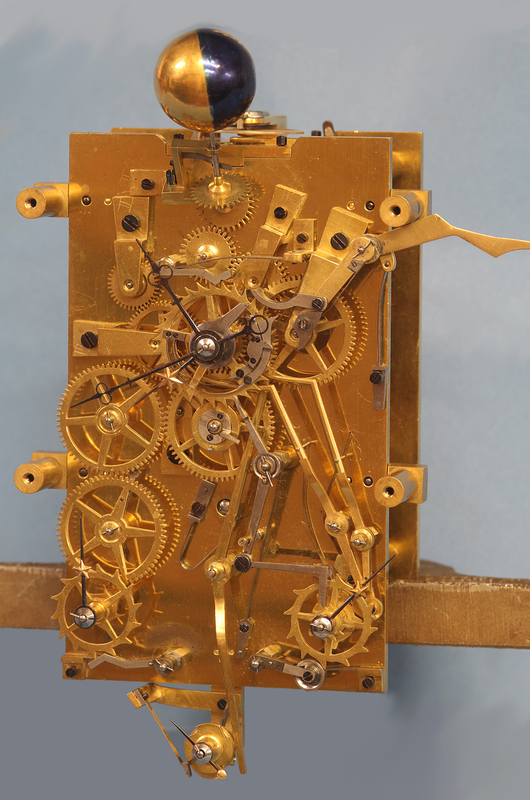 The carriage clock movement has screwed posts, is wound and set off the back plate and retains the original balance platform with a cylinder escapement and steel one piece balance wheel. All the motion, lunar and calendar work runs off the front plate and is partially visible through the glazed dial centers. 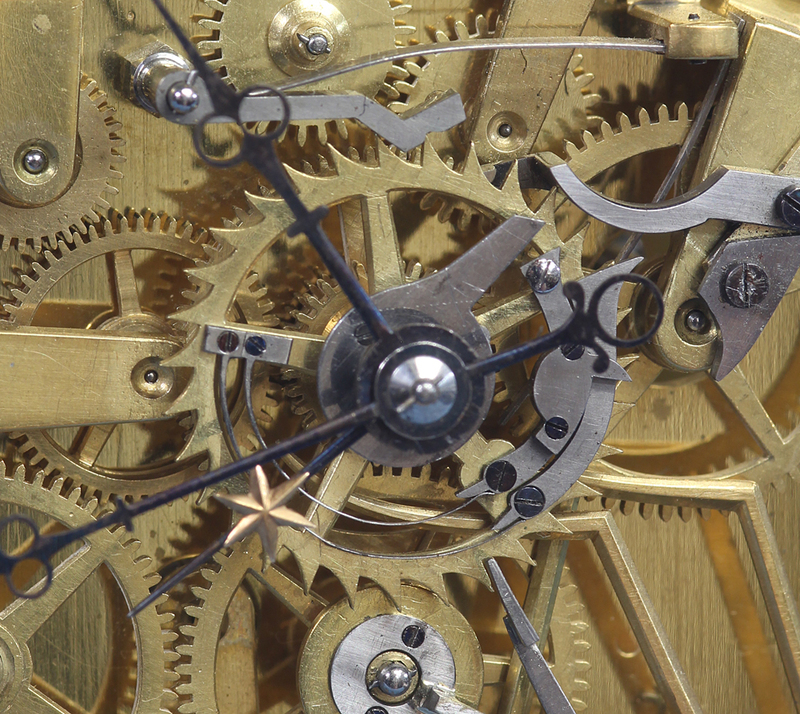 The lunar feature is geared directly into the movement so the moon continually rotates while the day, date and month are automatically tripped as needed. 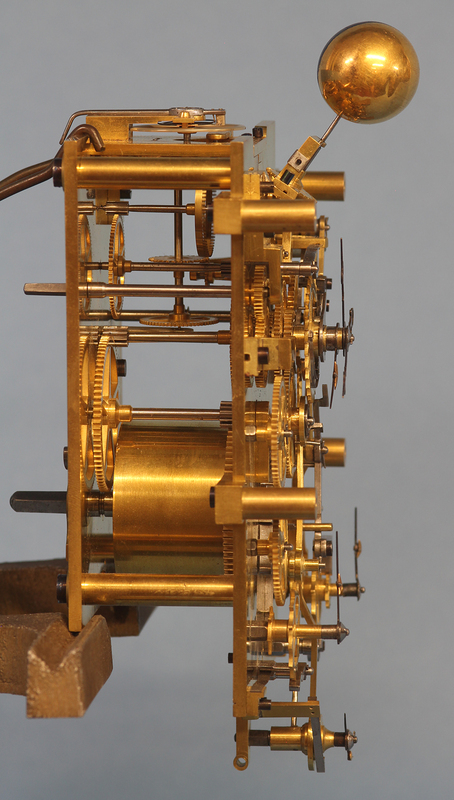 The perpetual feature is governed by a set of small steel springs and levers mounted to the center calendar wheel that adjust to trip all the calendar features accordingly. 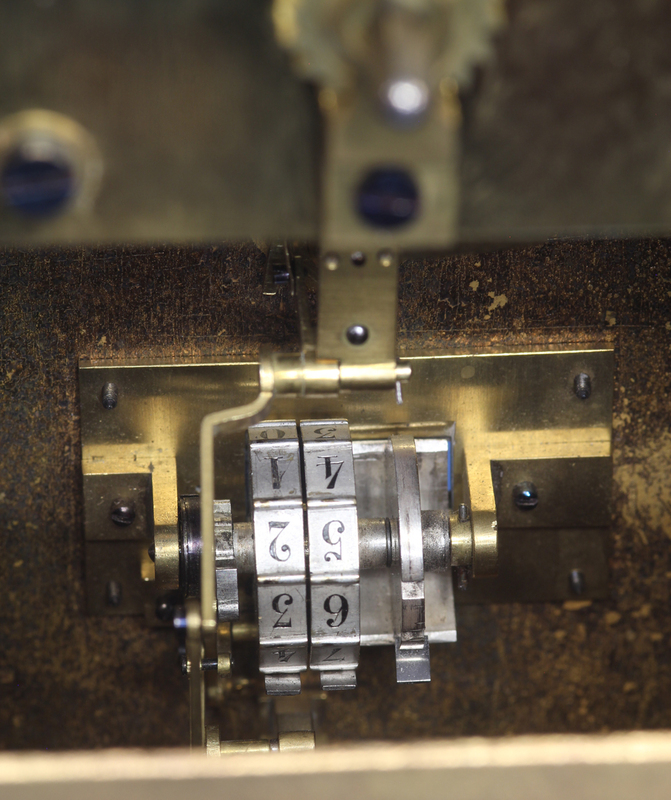 The year is changed manually by pulling the knob on the back which advances the year and leap year indicator hand by one. Leap day is indicated by pushing the lever on the side every 4 years which trips the calendar hand backwards by one thus giving another day in February. Time Dial diameter: 2 3/8 in.